Yesterday was Camden's 10 month birthday! 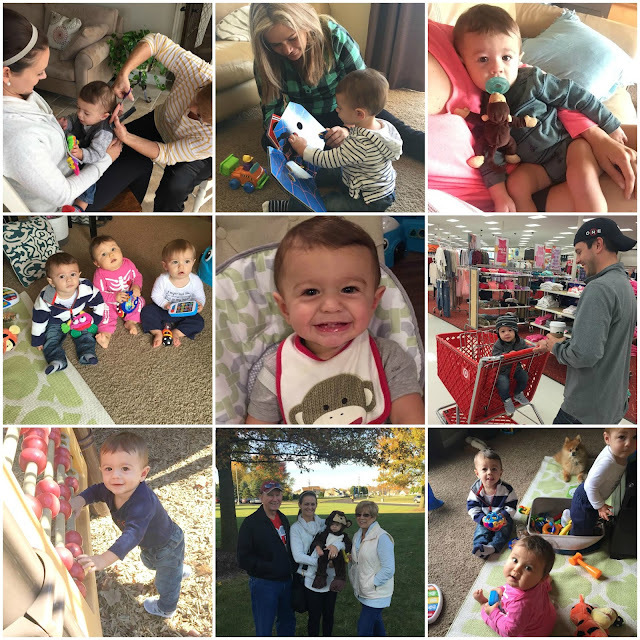 From his very first Halloween, learning new words, a play date with his cousins (on my mom's side), family coming in town to visit him, walking with his push walker, to his aunt Jackie babysitting him for the first time - it's been such a good, fun month! Cam has been keeping us on our toes at ALL times. He is extremely determined, a turbo speed crawler, and loves to get into anything and everything (including but not limited to: kitchen cabinets, window blinds, trying to open the kitchen trash can lid, lamp cords, pulling things off bookshelves) I can't turn my back for a second, haha! But I wouldn't change it for anything. This month he also learned to crawl up the stairs, like he's been doing it for YEARS!!! I had a mild heart attack watching him the first time. His eating...he still eats just about anything we give him. Normally I can only lay a few bites of food on his tray at a time because if I give him handfuls he will take all of it and shove every piece into his mouth! Every month he makes us more proud to be his parents...the love just keeps on growing and growing. 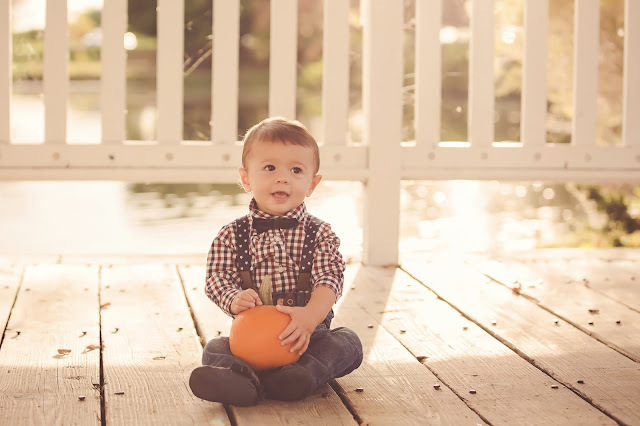 -celebrated his first Halloween and went trick-or-treating dressed up as a monkey! -says: mama, dada, buh bye, baba (bottle) and his newest one-ball! -if I fake cry or pretend to be sad (to see his response), he will crawl from wherever he is over to me and give me a hug! He is so lovey and sensitive! -his favorite time of day is right before bedtime when we read a book together as a family...he gets this huge smile and makes all these happy noises/laughs! He seems like SUCH a happy little guy...he's adorable! Goodness! How is he 10 months old already?!? He's a cute little thing! He is seriously the cutest! I love seeing pictures of him. I can't believe he's 10 months old already though. That first picture is a framer, no doubt!! :) Such a little cutie. Isn't this age so fun?